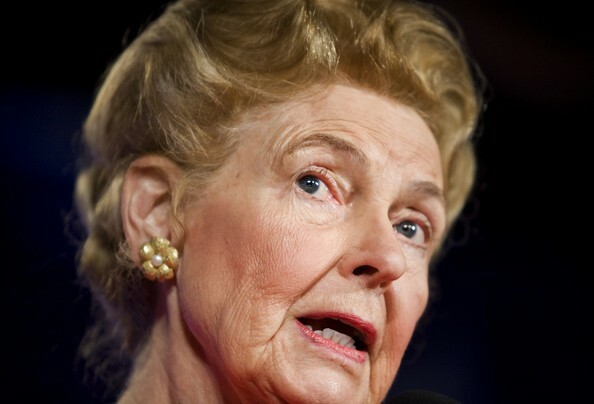 Eagle Forum founder Phyllis Schlafly devoted her second radio bulletin in a row today to accusing President Obama of failing to keep Ebola out of the United States, where there are currently no known cases of Ebola. 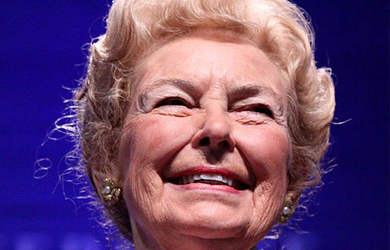 Declaring that “nobody elected Barack Obama to clean up Africa,” Schlafly attacked the president for not banning all travel to the U.S. from the West African countries at the center of the Ebola outbreak, and went on to warn that “unchecked foreigners” from Central America — where there are also currently zero cases of Ebola — will spread the disease in the U.S.
“With the massive influx of unchecked foreigners coming across our borders, including 130,000 from Central America since October, why are we surprised about this alarming spread of foreign diseases into the United States?” she declared. While refusing to sensibly secure our borders, U.S. officials announced that they expect an increase in Ebola-related incidents in the United States. With the massive influx of unchecked foreigners coming across our borders, including 130,000 from Central America since October, why are we surprised about this alarming spread of foreign diseases into the United States? Obama has failed to use his legal power to deny entry. Federal law gives the president the power to seal our borders to any class of aliens who pose a threat to the U.S., but Obama continues to insist it is unlikely that anyone with Ebola will reach our shores.